We are proud to have a new exciting jam in February 2019! 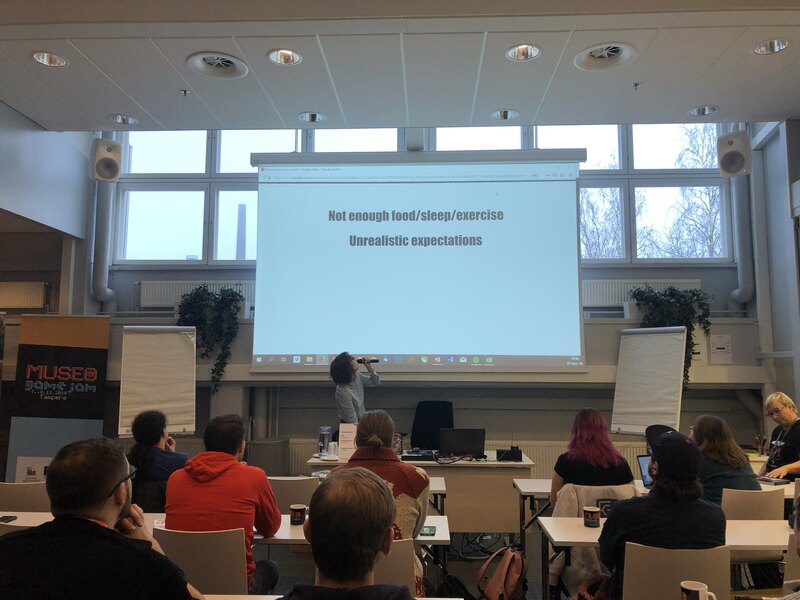 Quantum Wheel is a three day game jam at the heart of Helsinki aimed at creating games based on Quantum Physics, both for education and research. The event continues the Quantum Game Jam series, and it is a collaboration with quantum physicists from the University of Turku, Aalto University and from IBM Zurich, who will participate in the jam. The list of participants includes also many experienced game developers and jammers from Finland and around the globe. In this jam, the participants create games that utilize Quantum Black Box (tool developed at the University of Turku) and/or IBM quantum computer Q Experience. Otherwise the teams are free to choose their games’ directions and technologies used. The jam will have around 50 participants and will be located at the cozy Sea Allas Pool in the center of Helsinki. Additional inspiration for the jam will be extracted from riding the SkyWheel Helsinki! Allas Sea Pool is a gardenlike oasis in the heart of Helsinki with a large pool area and magnificent saunas. In addition to swimming, bathing in the saunas and good food, Allas Sea Pool offers many options for wellness. Spending a perfect day at Allas means relaxing, lingering, enjoying with all senses, both the body and the mind – in the middle of Helsinki, next to the Market square, every day of the year. SkyWheel Helsinki is an Observation Wheel is situated in Katajanokka, one of the most beautiful locations in Helsinki, right next to the market square. From 40 meters high you may see over the city, sea and surrounding islands. Another FGJ wrapped up, thank you everyone! Global Game Jam weekend has come and gone and we are one jam experience richer. 48 hours is a short time to develop a game from scratch, and every year we are amazed at what the jammers are able to do within such a limited timeframe! On a global scale there were in total 47 000 jammers who made 9000 games at 860 sites in 113 countries, which makes this Global Game Jam the biggest game jam ever held! 10 new countries joined the fun, as sites were set up in Azerbaijan, Iraq, Sri Lanka, Kazakhstan, Kosovo, Kenya, Ivory Coast, Myanmar, Namibia, and Rwanda. The global theme for GGJ19 was “what home means to you”, and jammers incorporated it in their games in countless different ways: there was homesickness, homelessness and house parties, to name a few. 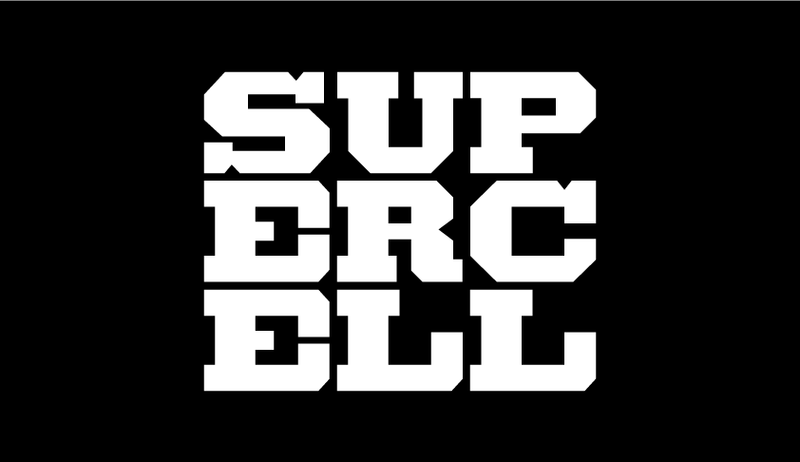 The national gold sponsor was Supercell. 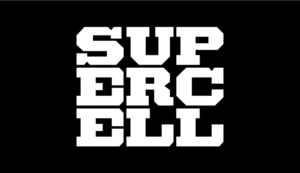 The national silver sponsor was Veikkaus Game Studio. Thank you again everyone who attended or followed the action through our streams and social media, it was a blast of a weekend! See you at the next jam! Finnish Game Jam, as part of Global Game Jam, is the big event we’ve all been waiting for! Global Game Jam happens all around the world during the weekend of 25-27 January 2019, and in Finland there are many jamming locations to choose from. With only a couple of weeks to go there’s still plenty of time to join the fun! Registrations to the Finnish events is done in Eventbrite. Registration is open until January 23rd 11:59 PM. 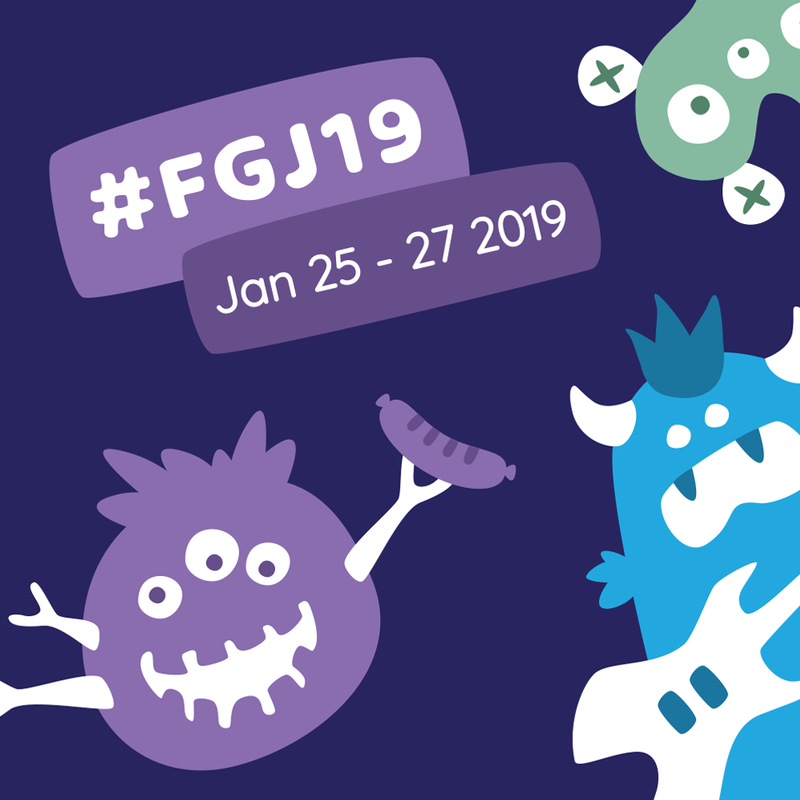 At the moment there are 21 public #FGJ19 locations in 15 cities. Follow our Facebook and Twitter for more news! Finnish Game Jam has received a prestige art award in Finland. Suomi-palkinto (Finland Award) is an annual arts and culture recognition and was granted by our Minister for European Affairs, Culture and Sports, Sampo Terho. Suomi-palkinto has been awarded annually since 1993 and it can be granted as a recognition of an impactful career, remarkable achievement or promising initiative within the field of arts and culture. Finnish Game Jam organization is in great company. Six other artists and groups were also awarded: legendary musician Remu Aaltonen, Alt Arkkitehdit, author and translator Jyrki Kiiskinen, Koko Jazz Club, creative director Paola Suhonen and movie director Selma Vilhunen. “We have a lot of talent in Finland. Some of them work in groups, but many work alone. More and more of them have also gained international reputation. Creativity is born from individuals, which can be supported by the community and the surrounding society”, explains Minister Sampo Terho. “This year we have wanted to honor remarkable artistic expertise with the Finland Award. Artists, who have been impacting the Finnish art scene for a long time. On the other hand, we have also wanted to recognize the new trends in the Finnish art and culture”, continues Terho. Finnish Game Jam was recognized for our impact to the Finnish game making communities and as a unique organization also within the international landscape. 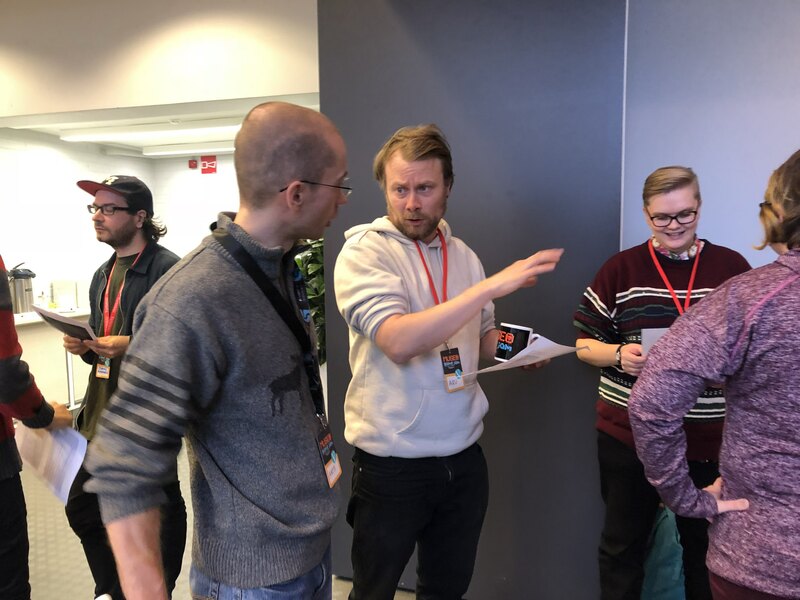 Finnish Game Jam would like to congratulate all the awarded artists and communities and thank everyone participating, collaborating and supporting our events! As 2019 draws closer so does the main event of the year: Finnish Game Jam! It is again time to get jamming with the rest of the planet. Finnish Game Jam 2019 is organized as part of the Global Game Jam that will be held throughout the entire world at the same time. Naturally Finland will participate, now for the 10th time! We currently have 8 public locations confirmed in Finland: Helsinki, Turku, Vaasa, Kymenlaakso, Kajaani, Ylivieska, Kuopio and Turku. If your area is missing a site here is your chance to organize one yourself! Site applications can be made through Global Game Jam’s website. Site application is open until January 10th, but we recommend you act fast to be able to prepare for the jam. If you have questions about organizing a site or need help feel free to contact us. More info will follow throughout December! We cordially invite you to The Finnish Game Jam Awards on November 28, 2018 in Helsinki! We have seen many incredible jams, jammers, and jam games this season, and again it is time to celebrate the creativity and daringness of the Finnish jamming community! We are already in November, so it is only natural to make this our Christmas party as well! Christmas attires (especially hats) are strongly encouraged, but not mandatory. You will also get to meet Santa Claus, who is a great admirer of the game jam community and will make a special visit. Bring a small present if you wish to receive one! The partyplace is Apollo Karaoke Bar on Mannerheimintie 16, right in the center of Helsinki. Join the event by registering through Eventbrite here. 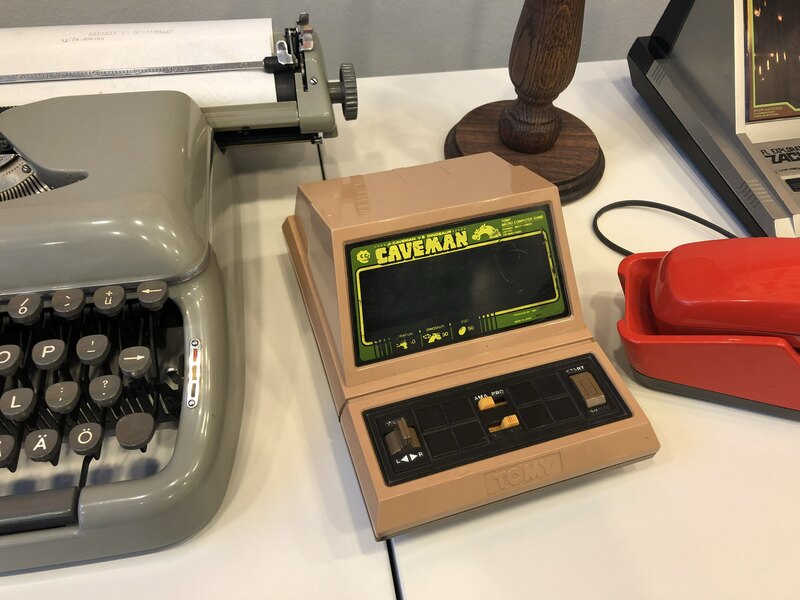 In Museo game jam a diverse group of game developers and museum professionals came together to create games inspired by museum exhibition items. The jam was organized in collaboration of Finnish Game Jam Ry, Finnish Museum of Games and Stories to Games (Tarinat peliin) project as an effort to explore how non-game archive materials can be turned into games and installations. The venue had an important role. The jam was held at the Museum center Vapriikki in Tampere, which hosts a diverse collection of museums, and is also the home of Finnish Museum of Games (Suomen Pelimuseo). Museum of Games holds an extensive archive of games, both digital and non-digital. The archives and materials of Vapriikki worked as the main inspiration of the games. 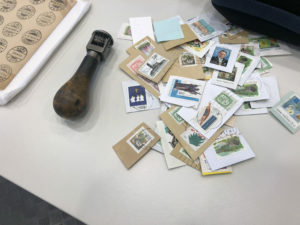 Researchers and other experts from several museums in Vapriikki presented the exhibition items that were curated for the jam. There was not a single set theme in the jam, instead the jammers used the presented items as their inspiration. All of the games were open for public playtesting a day after the jamming ended.The jam attracted in total 32 jammers who created 8 games. You can download all the games for free from the jam’s Itch.io page.